Renaissance Faces: Van Eyck to Titian is an exhibition that does exactly what the title the suggests: it’s a selection of portraits by van Eyck, Titian, Raphael, Holbein, Botticelli, Dürer, Cranach and their contemporaries. Room after room of rather solemn looking people — no smiling for portraits back then — wearing their most expensive-looking velvets and furs and damasks. So if that’s the kind of thing you like, and on the whole I do, you’d probably like this show. About half the pictures are from the National’s permanent collection, which sometimes seems a little bit like cheating; but there are some very good paintings they’ve borrowed from elsewhere, it’s interesting to see them all together, and it’s not actually a chore to have another look at van Eyck’s Arnolfini portrait, or the Bellini portrait of the Doge, or Holbein’s Lady with a Squirrel and a Starling. 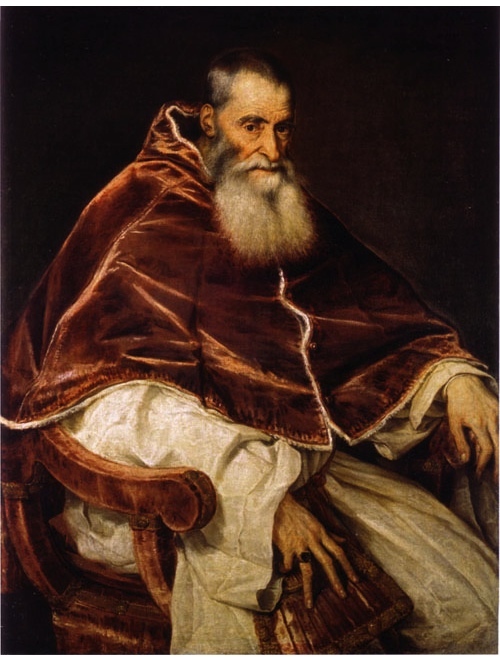 For me the finest picture in the exhibition is the Titian portrait of Pope Paul III which normally lives in Naples. It really is one of those works which seems transcendent even by the standards of a great artist. The Pope sits there, engulfed in these huge robes, looking physically old but sharp-eyed and full of power. 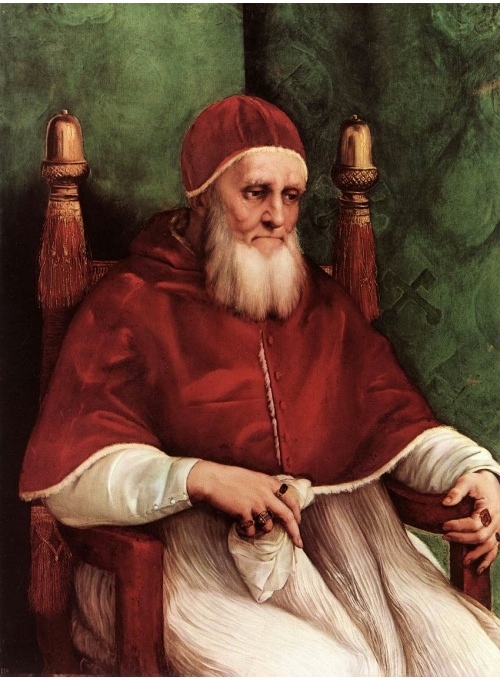 And they have it hanging next to the portrait of Pope Julius II by Raphael from their permanent collection, painted fifty years earlier and an important influence for Titian’s portrait. They are both marvellous paintings and they make a fascinating contrast, stylistically and psychologically. » The Raphael is the one at the top.